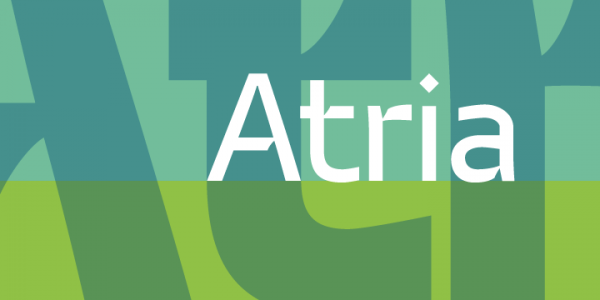 Atria is a clean modern sans-serif font. It is pinched right at the intersection of certain strokes to provide the lettering with a distinctive appearance. The distinct appearance of the font helps in ensuring screen definition even at small sizes. The glyphs for the striking font cover both Cyrillic Baltic and languages.